Vishnu's upcoming Indru Netru Naalai, directed by Ravi Kumar and produced by Thirukumaran Entertainment is distributed by Studio Green. Mia George is paired opposite Vishnu and Arya plays a cameo. 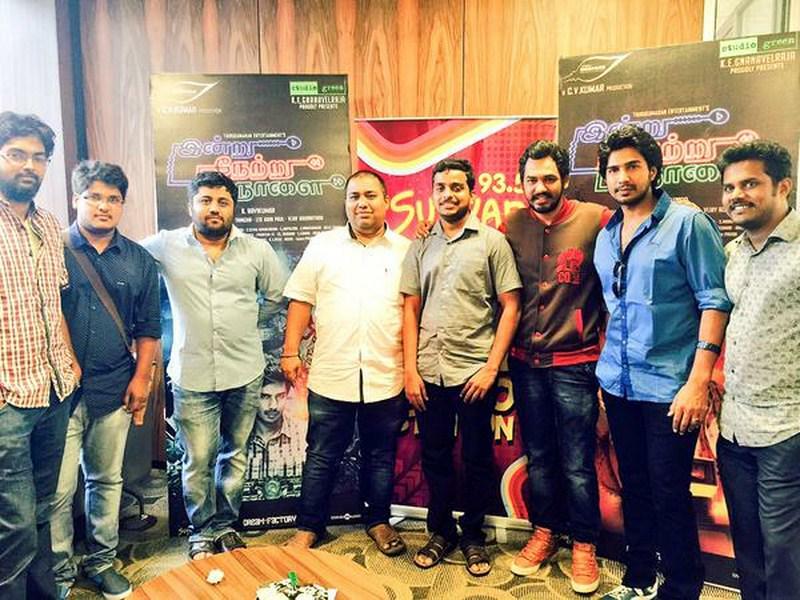 Hiphop Tamizha is scoring music for the film and a single track 'I phone 6' has been released today. This is a breezy song yet again showcasing a hero's voice who feels he is not fit to be loved by heroine. The song basically talks about the differences in them. The posters in the video look interesting.